The Turkish Coalition of America's 17th Congressional Delegation visited Turkey and Bosnia and Herzegovina from May 25-31, 2015. Since 2009, TCA has taken more than 170 members of Congress and senior staffers to Turkey and surrounding countries and has become one of the leading organizations sponsoring foreign congressional travel. The delegation first visited Istanbul, where participants held high level meetings with U.S. and Turkish officials. 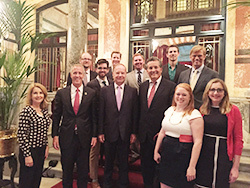 "The visit to Istanbul provided the unique opportunity to gain firsthand knowledge of the current political landscape in Turkey from multiple perspectives and to understand the scope and importance of the strategic relationship between the U.S. and Turkey in the region," said TCA President G. Lincoln McCurdy. The delegation also took a one-day trip to Canakkale and the sites of the World War I Battle of Gallipoli. Participants were briefed on the strategic and economic importance of the Dardanelles Straits. The group also commemorated the 100th anniversary of the Battle of Gallipoli by visiting several key battlefields as well as the monuments dedicated to Turkish, British, Australian, and New Zealand soldiers who died during the battle. The visit highlighted the battle site's significance as a place of reconciliation, friendship, and international peace. From Istanbul, the delegation traveled to Bosnia and Herzegovina and visited Sarajevo and the Maglaj region. The main purpose of the visit was to attend a ceremony marking the completion of a de-mining project, which had been further challenged by the disastrous floods in the region in 2014. 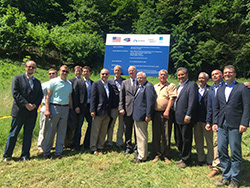 The de-mining project was undertaken by the Marshall Legacy Institute (MLI) with support from a major humanitarian donation from TCA, which was matched by a grant from the Office of Weapons Removal and Abatement of the U.S. State Department (PM/WRA). 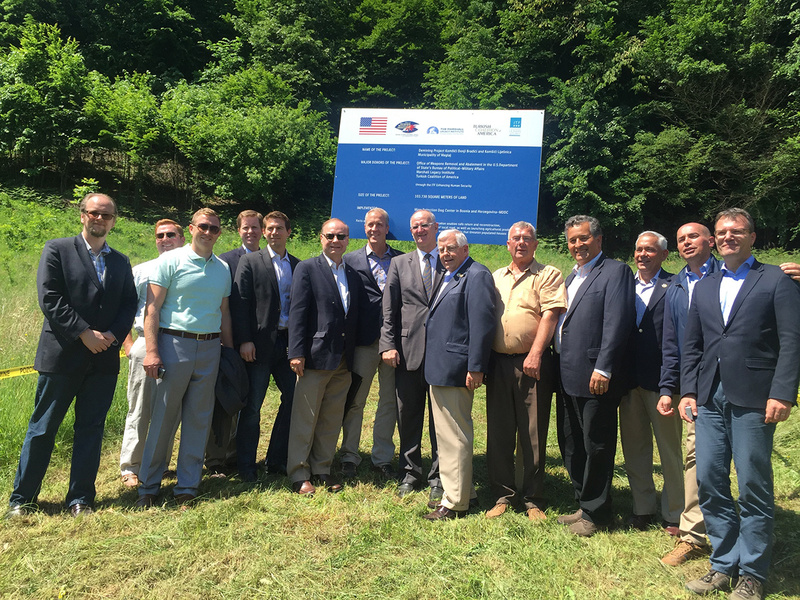 The delegation's visit to Bosnia and Herzegovina is an extension of the long-term support provided by TCA to the Bosnian American community, which includes the sponsoring of other prior congressional delegation visits and a multi-year TCA grant to support the Bosnian American community in Washington, DC.